During disastrous flooding the chairman and top executives of the World Travel & Tourism Council (WTTC) met with Brazil's President, Luiz Inacio Lula da Silva, and the Governor of the southern Brazilian state of Santa Catarina, Luiz Henrique da Silveira, to discuss WTTC's 2009 Global Travel & Tourism Summit in Santa Catarina's capital, Florianópolis. Efforts at infrastructure rebuilding from the disaster and campaigns for destination promotion of this region resulting from the Summit can benefit from our combined expertise on inclusion and Universal Design. "It is extremely important for private sector leaders and ministers of tourism from all four corners of the globe to come to Santa Catarina next May to give their support and guidance to Santa Catarina," said Jean-Claude Baumgarten, WTTC president & CEO. "Travel & Tourism could be the vital stimulus that the state needs to help kick-start its economy after this terrible tragedy. Continue reading 2009 Global Travel & Tourism Summit in Florianópolis, Brazil. Riverstone Resort Lifestyle Retirement Community in Kansas City, North, offers a “cruise ship” style of dining, said Ted Rychlik, who is the on-site manager of facility..“Our residents can eat all day,” he said. .. the Kansas City facility is the first to offer the “resort lifestyle” rather than the more traditional structure, Rychlik said. Continue reading Universal Design, Visitability and the "Resort Lifestyle" in a Retirement Home. I'm trying to make the case to President Obama regarding investing in educational technology and universal design as part of the economic stimulus. Apresentado por Dudu Braga, filho do cantor Roberto Carlos, o programa "Vida em movimento" estréia neste sábado, dia 29, às 10h, na TV Cultura. O objetivo "é mostrar e valorizar toda a capacidade física de pessoas com deficiência", como o próprio Dudu, que é deficiente visual. O programa contará com um sistema ainda pouco conhecido no país, a audiodescri? ?o, "recurso em que um locutor narra às pessoas com deficiência visual detalhes do conteúdo das matérias exibidas e que n?o contam com narra? 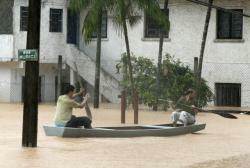 ?o ou pessoas falando, apenas imagens". A data escolhida para o lan?amento da atra? ?o antecede ao Dia Internacional da Pessoa com Deficiência, comemorado em 3 de dezembro. In 2012 the eyes of the world will be on the UK and of course the South West, therefore The South West RDA are trying to build up a picture of what the current offer is to disabled visitors and their families when visiting the region. Your input will be invaluable now, in the lead up to 2012 and beyond. The Paralympics will increase the focus on disability issues and participation in disability sport across the board. It will highlight our attitudes to disabilities and the service we provide to people with special requirements in the South West. The South West RDA are already focused on this area of work, and the opportunity it provides for destinations and businesses to build the markets of the future by welcoming the wider audience of those people considered to have a disability, as well as athletes with disabilities, their families, friends and supporters. Today the Supreme Court of Canada denied Air Canada and WestJet?s request to appeal the decision of the Canadian Transportation Agency which requires the airlines to accommodate persons who need additional seating space because of their disability. The Council of Canadians with Disabilities (CCD) launched this action in 2002 to remove a long-standing barrier to the travel of persons with disabilities. People with disabilities who required an attendant in flight to assist them with services not provided by flight attendants and persons with disabilities who required additional seats were having to pay for two airfares. This decision now brings planes into line with other modes of transportation such as rail, bus and marine who do not charge for additional seats. Continue reading Canadians with Disabilities Win Air Transportation Access. The Australian Government has for the first time made people with disability a priority for Australia's international development program. Continue reading Australia Supports Disablity & Development. 13-14 December 2008. Belgrade. The First International Conference on "Accessible Tourism for All" to be held in Serbia will take place in Belgrade, supported by the Ministry of Economy and Development, the National Tourist Organization of Serbia, the Tourist Organization of Belgrade and the Congress Bureau of Serbia. The aim of the conference is promotion of accessible tourist destinations, public transport and all forms of travel content as well as increasing profits and improving the general business viability of the actual business on a global and local level. In addition to the conference, which will present the latest knowledge and results on accessibility in the field of tourism and with profit, social and human point of view, the event will include three parallel workshops as well as presentation of the best examples of good practice from Europe and the region. A study tour of 'Accessible Belgrade' also features in the programme. The conference programme is coordinated by the ENAT Member, disability Non-Governmental Organisation, 'Dunav'. Download the Registration Form from the in WORD and PDF formats. Registration forms and proposals for presentations will be received until 1st December 2008. Continue reading First International Conference "Accessible Tourism for All", Belgrade. La Sociedad Insular para la promoción de las personas con discapacidad (Sinpromi) del Cabildo de Tenerife, vuelve a estar, por tercer a?o consecutivo, con Una casa para toda la vida, en la Feria Construye, que se celebra del 26 al 30 de noviembre en el Centro Internacional de Ferias y Congresos (Recinto Ferial). En este puesto se darán a conocer los parámetros de accesibilidad, y se mostrarán las características de los muebles y elementos que la convierten en una vivienda de estas características. Continue reading Una casa para toda la vida (Spanish). The World Committee on Tourism Ethics inaugurated its permanent secretariat on the occasion of its seventh meeting (Rome, November 14-15). The secretariat will provide technical and expert support to the World Committee on Tourism Ethics, in particular, promoting and disseminating UNWTO’s Global Code of Ethics for Tourism. The World Committee on Tourism Ethics looked at ethical aspects of important issues for tourism such as facilitation of tourist travel, HIV travel-related restrictions, and the recent launch of the new UNWTO Campaign to Protect Children from Exploitation in Travel and Tourism. Continue reading Trends Toward Inclusive Tourism in Industry Ethics Statements. The Greek Minister of Tourism Spiliotopoulos predicts that Greece will weather the current economic downturn well. With tourism development projects underway emphasizing ecological sustainability and diversity of projects it requires only a half-step forward until the country emerges as a global leader offering both sides of the sustainability coin -- ecological and social; green and Universal Design. Continue reading Once Greece "Gets It". The US elections signaled the mainstreaming of a frustration with confrontation and gridlock in addressing the common good of societies. Whether Republican, democrat, or independent the mantra was "Change!" Here the message has consistently been that the change that is needed at this stage in history flows from the seven principles of Universal Design and can be summed up as social inclusion -- not merely accessibility; not mandated minimums adhered to reluctantly when they could not be subverted directly or indirectly. Continue reading Strategies for Promoting Universal Design in the US. The worst natural disaster in Iowa history was the severe weather and flooding that hit the state of Iowa during the months of May and June 2008. Governor Chet Culver called it the "500 year flood". It displaced 40,000 Iowans. The commission also emphasized the importance of infrastructure investments in sewer systems, roads, and bridges. The panel recommended that the state should take the lead in planning, establishing expectations statewide, and securing funding for infrastructure repair, rebuilding, and construction. The state should complete a comprehensive infrastructure plan, including transportation, and develop state policy regarding incorporation of smart development principles, green building practices, energy efficiency measures, universal design, and livability appropriately into infrastructure initiatives, the commission recommends. Continue reading Rebuild Iowa Advisory Commission Recommends Universal Design. Reporte sobre o 3o Workshop de Acessibilidade no Recife. 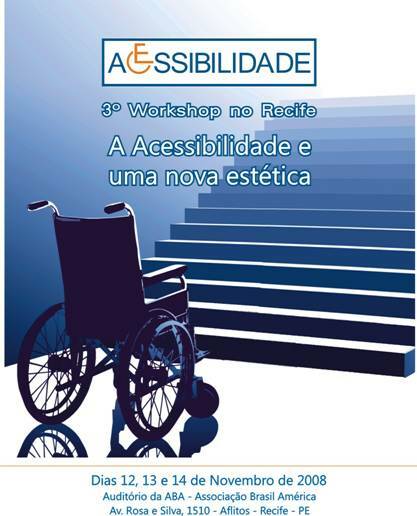 Continue reading 3o Workshop de Acessibilidade no Recife (Portuguse). Konrad Kaletsch on Who's "Normal"
You unknowingly became an expert by the very attributes that make you unique. What works for you doesn’t always work for someone else. Someone with great physical strength uses force; genius uses intelligence. What emerges is that the variety of human ability is infinite. It is variety that is normal, not some standard that there is a normal. Let’s start with 1000 people and sort out who is normal: If our first filter is average height, we quickly reduce the number of “normal” people in our survey down to a few hundred. Our next filter, average weight, reduces our “normal” people further. Let’s have one more filter, age. Now we have a handful of people that constitute normal based on just three filters! If we build for this “normal” person we are in fact building for a very few people leaving the other 900 to bend lower, reach higher, and in other ways force their bodies to work in ways that don’t feel normal (a few won’t be able function at all). Continue reading Konrad Kaletsch on Who's "Normal". * Environmental Sustainability (e.g., Green Remodeling Practices). * Economic Sustainability (e.g., Return on Investment & future Marketability of your home). * Social Sustainability (e.g., your design changes enable you to live in the comfort and safety of your home much longer). Continue reading Mike Vowels on the Triple Bottom Line of Universal Design. Accessible Portugal Online Magazine offers some travel itineraries based around the arts in Portugal. Continue reading Accessible Portugal Online Magazine. This award will be presented on December 3rd, 2008 at the Diplomat Radisson SAS Hotel, Residence and Spa in the Kingdom of Bahrain, UAE, in celebration of the United Nations International Day of Persons with a Disability. Continue reading Follow up on Rami Rabby, DragonAir, and the CRPD. Eden Social Welfare Foundation of Taiwan has been a driving force behind the development of Inclusive Tourism throughout Asia. Taipei was the site of the First International Conference for Accessible Tourism (ICAT) 2005 (Opening keynote address here.) The organization continues to track news and support training on the topic. Tourism for those with disabilities in the region is about to get a boost through the Third International Conference for Accessible Tourism (ICAT) 2009. 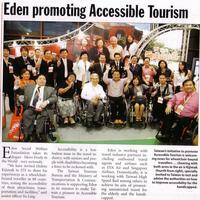 "Tourism Unlimited: Access for All" is the conference theme. The Disabled People's Association or DPI-Singapore is the host. El Dise?o Universal es una tradición, pensada para tierra, originada por el arquitecto tetrapléjico Ron Mace y sus colegas durante los a?os 70. Aplicado sistemáticamente y modificado al entorno marino, esta aproximación de dise?o comenzó a ser conocido como los Principios Waypoint-Backstrom a comienzos de los 2000. La tradición marina como historia documentada conforma la experiencia humana. Aunque especie aparecida sobre tierra firme pero fascinada con el agua, el género humano siempre ha mirado los cursos de agua y el mar en las naves. La navegabilidad es una medida de ajuste entre el medio en que una nave acuática debe navegar y la habilidad de los humanos para usar de esa nave para sus propios propósitos. El Dise?o Universal recoge esta dinámica esencial en la base de la navegabilidad. Continue reading Entornos Maritimos Inclusivos ("Waypoint-Backstrom Principles") (Spanish). i-CREATe is proud to announce her 3rd premier convention which will be held in Singapore from 22 – 26 April, 2009. This year's theme "Accessible Tourism" promotes accessibility for all with the adoption of universal design, where assistive technologies will be used and introduced in the environment to improve accessible tourism. A minha crónica de sexta-feira passada no jornal Público. é impossível n?o ficarmos indignados perante as reac? ?es e declara? ?es de responsáveis que se recusam a incluir os que têm necessidades especiais. A mim repugnam-me todas as formas de exclus?o e por isso aqui fica o texto da minha indigna??o. Messages and pleas for providing clean water and spearheading peace through tourism in the next 20 years have been conveyed in the past four days at London?s largest travel exhibition. The word responsible has taken over this year?s World Travel Market. Wherever you turn, ?responsible? seems to be the buzzword. If it were a destination, there would be an exodus moving towards that direction. Tuesday proved to be a remarkable day in this regard, as the International Peace through Tourism brought together leaders from key tourism organizations including SKAL International, America Society of Travel Agents (ASTA), Pacific Travel Association, United Nations World Tourism Organization, Travel Industry Association of America, Canada Tourism Commission, World Youth Student & Educational Travel Confederation, and Reed Travel Exhibitions who each shared their vision for peace in the next 20 years of travel and tourism. Fiona Jeffery, chair of World Travel Market, said: ?IIPT has ambitious aims, which given the many conflicts raging throughout the world, some might say are without hope. But are they hopeless or can the international travel and tourism industry say something that offers a lesson to the world? Of course, it can!? Continue reading Responsible Tourism at WTM. Community Solutions Limited of Greater Toronto Canada has launched a new service and web site Linking People & Places. Congratulations to CSL and especially Nancy Gagnon who guided creation of this initiative from its inception and now serves as Accessible Travel Coordinator! Continue reading New in Canada: Accessible Travel. Yesterday it was time to celebrate the forthcoming issue of Design for All India . 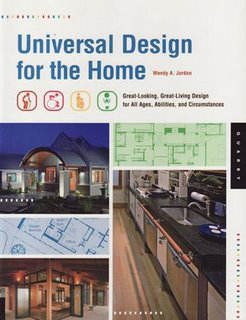 The day before we had the chance to highlight again Wendy Jordan's book Universal Design for the Home. Enabled by Design supports anyone looking to make adjustments to their lives through the use of assistive equipment, be it as a result of disability, injury or personal identified need. We aim to make independent living more accessible through the use of clever modern design. Enabled by Design bridges the communication gap between users of assistive equipment and designers, encouraging discussion and collaboration to produce both practical and stylish gadgets. The site provides an opportunity for people to air their views, talk through ideas and hopefully find some answers! It’s all about giving people the chance to adapt their lives in a way that fits around their individual needs. ...we will be working hard to build a strong, interested and engaged community of users and designers around our new site, which is being developed as we speak. Other priorities include continuing to promote the project to a wide and diverse audience of individuals and organisations, champion the notion of universal design and personalisation within the health sector. Continue reading The U.N. Convention. "A lot of people think that making a house more accommodating will make the house less stylish, but there are many (universally designed) homes that are beautiful and still work well for people young or old, tall or short, or if they have any kind of limitations." Who will be the author- and the organizational champion that AARP has been - to popularize Universal Design in hotel design? Continue reading Universal Design in Home Design. States that are parties to the Convention on the Rights of Persons with Disabilities elected the first twelve members to the Committee on the Rights of Persons with Disabilities; formally setting up a mechanism for countries that have ratified the Convention to report on their implementation efforts. The Committee, made up of independent experts, was established and its members elected during the first session of the Conference of States Parties, held in New York on 31 October and 3 November 2008. Continue reading International Monitors Elected for CRPD. Continue reading Accessible tourism – in theory and practice. Sustainable travel is traveling in a way that contributes to the environmental, socio-cultural and economic values of the places one visits, and the planet at large. Traditional, consumer-based tourism often does not take cultural or environmental aspects of travel into consideration. Tour operators sometimes can be exploitative of the locals and travelers can leave a large footprint in both the culture and environment of sites they visit. This is often unintentional, but the idea of sustainable tourism is for travelers to become more conscious and intentional of the ways in which they travel, so that the environment and cultures are better preserved. Sustainable travel is not just about ethics or guilt, however. There is a vast difference between a tourist and a traveler; and such travel creates a much more enriching and meaningful experience for the traveler, as well. Rather than being shuttled from one tourist attraction to another, snapping photos of the local life passing by outside the windows of tour buses or five-star hotels, sustainable tourism provides the visitor the opportunity to truly be immersed in the culture and soul of the place. Below is a link to the DBTAC audio conference series session on disability and the hospitality industry. DBTAC National ADA programs are a division of the U.S. Department of Education National Institutes of Disability Rehabilitation and Research. On October 14, 2008 the Antigua and Barbuda Bureau of Standards (ABBS) will hold World Standards Day (WSD) commemorative activities. The international theme of WSD activities this year is “Intelligent and Sustainable Buildings”. On December 4 , 2008 the 47th Antigua Charter Yacht Show in English and Falmouth Harbors in Antigua. 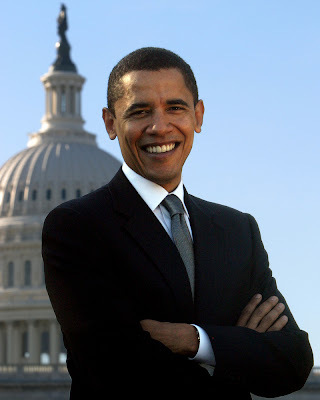 President Barack Obama has taken e-governance to heart and launched a policy development campaign at Change.gov. Continue reading Advocating for American Leadership on Inclusive Tourism. Wolfen (kobinet) Indiens Staatssekret?r für Tourismus hat eine gesetzliche Regelung verkündet, nach der mit Geldern der Zentralregierung geschaffene Reiseziele in Zukunft barrierefrei sein sollen. Wie das Europ?ische Netzwerk für barrierefreien Tourismus - ENAT einem Bericht der indischen Tageszeitung The Statesman entnahm, sollen k?rperlich geforderte und ?ltere Personen in Indien in Zukunft leichter ein Reiseziel finden. Die Regierung will dabei mit Vorschriften zur Barrierefreiheit helfen. Wie der Staatssekret?r für Tourismus Shilabhandra Banarjee bei einer Schulung für Manager und Ingenieure erkl?rte, hat das indische Tourismusministerium gesetzlich geregelt, dass alle touristischen Anlagen, welche mit Unterstützung der Zentralregierung geschaffen werden, barrierefrei sein sollten. Leaders of the travel and tourism sector of the national economy will convene to share ideas and prepare recommendations to assist President-elect Barack Obama in accelerating the economy through travel and tourism. The outcomes will be presented to President-elect Obama, his transition team, and key members of Congress following a meeting in Washington, DC on December 16. A broad cross-section of travel and tourism leaders has been invited to be a part of creating workable solutions for the struggling economy. The participation of more than 20 organizations has been confirmed including leaders representing packaged travel, lodging, travel agents, cruise lines, ground transportation, air transportation, and special interest travel, according to the National Tour Association, which is managing the effort. At the time of this post staff at the National Tourism Association are researching my inquiry on how the organization intends to position Inclusive Tourism as well as the market of senior and disabled travelers in their policy recommendations. Continue reading Advising President Obama on Tourism: An Initiative by the National Tourism Association. Reporters Dan Buckingham and Kristy Munrol become the first people with disabilities to jump off Aucklands Sky Tower. Greg Ball is publisher of Walt Disney World with Disabilities a travel guide that unlocks the secrets of comfortable travel at a destination that has a strong tradition of inclusion. 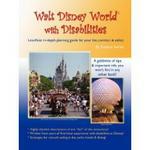 Continue reading New Travel Guide on Disney World Vacations for People with Disabilities. 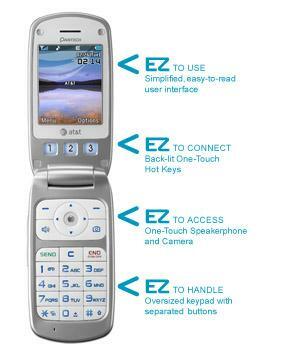 The Pantech Breeze budget phone is the direct result of AT&T and Pantech's collaboration to build a cell phone on the principles of Universal Design - the practice of designing products and applications that are usable by the most customers possible. AT&T recently published the company's approach to Universal Design to encourage application developers and handset manufacturers to consider the needs of seniors or customers who have disabilities when creating products and services. "Universal Design helps define important design criteria to meet the wants and needs of as many of our customers as possible," said Carlton Hill, vice president of Product Management, Voice Products and Affiliate Marketing for AT&T's wireless operations. "The Pantech Breeze mobile phone is a result of our efforts to meet these criteria and offer a great-looking phone that's a breeze to use for everyone - from tweens to great-grandparents." Continue reading Universal Design in Phones: Pantech Breeze. The National Association of the Remodeling Industry (NARI) has launched the Universal Remodeling--Creating Comfortable and Accessible Homes Education Program. Continue reading NARI Launches Universal Remodeling Education Webinar Program. Morgan Greenseth writes at WorldChanging.com on the green/Universal Design convergence occurring in the Pacific Northwest of the US. With forward thinking like this it should be no surprise that green maritime design is emerging from the same region. See the Waypoint-Backstrom Principles now in Spanish at Polibea Turismo. Medical advancements and rising life expectancies mean new challenges as members of the Baby Boom generation age. One of these challenges is housing. Many elderly citizens are demanding viable alternatives to nursing homes, where they can live independently, while interacting with their communities and growing old in their own homes. But this independence will require spaces that are accessible for a range of abilities: for example, with entrances that accommodate wheelchairs or walkers, or door and drawer handles that are easy to grasp and turn. Housing for the elderly also needs to be affordable, from construction costs to utility bills, and health, constructed with non-toxic and irritant-free materials. The Elder Healthy Home by EcoFab offers one example of what a solution could look like. This showcase prototype is a working model of a sustainable, accessible home built on a budget that was designed specifically for senior citizens and regional Native American tribal members. Continue reading Healthy Homes for the Eldery on Tribal Land. Continue reading World Toilet Day. The framework of Universal Design (UD) is one approach to improving access on university campuses. This paper reflects on a participatory research project on accessible space at the University of Arizona. Student-researchers from the Disability Resource Center conducted map-based qualitative research with members of the campus community to investigate perceptions of accessibility. Data analysis indicates the importance of hidden and invisible barriers, the attitudinal aspects of accessibility, and adaptive strategies of campus users. The paper contributes to investigation of spatial aspects and the lived experience of universal design in institutional contexts, while offering a model for involving students in applied research. Continue reading Universal Design and Accessible Space At the University of Arizona. The Disability Rights Fund (DRF) – a groundbreaking collaborative to support the human rights of people with disabilities around the world– today announced funding decisions from its first request for proposals. A total of $800,000 will be gifted to 33 organizations in seven countries. The grants will support work to raise awareness about the rights of people with disabilities, build coalitions and networks, and develop advocacy and monitoring activities, in connection with the UN Convention on the Rights of Persons with Disabilities. Continue reading Disability Rights Fund Makes Grants to 33 Organizations in 7 Countries. On "Rollidei": "Para Vigo Me Voy"
The port of Vigo is sited on the shores of a great natural harbour, which is sheltered from Atlantic storms by the Cies Islands: in summer, regular excursions are run to these islands. New wheelchair users accessible piers have been built at Vigo port; these will make boarding easier and safer not only for people with reduced mobility but to all users who travel on the vessels to Cangas and Moa?a (both towns on the opposite side of the bay).